Jeff Rose, a fellow financial planner and blogger, has started another movement on his blog Good Financial Cents. Jeff is committed to raising the awareness of the need for life insurance in general and especially among younger families. Overall it is estimated that 35 million households don’t have any life insurance and another 58 million households that do have some coverage feel that they are underinsured. 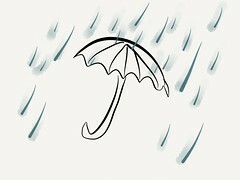 As a financial planner I am convinced that life insurance coverage is a key element in the financial planning process. Not all clients have a need for it, but it is always something that I look at. You have young children and a non-working spouse. I can’t tell you how many young professional couples that I have encountered who either have no life insurance or far too little insurance. Often I will get a call from a high earning young professional who is eager for guidance on investing and perhaps in buying income property. However when I ask them about the basics such as life insurance or a will the answer is all too predictable. They haven’t paid any attention to these key protection elements. In this case life insurance is an essential element of this family’s financial plan. If the breadwinner spouse were to die, how would the mortgage be paid? Assuming the non-working spouse needed to return to work how would childcare be paid? How would the non-working spouse accumulate enough funds for both retirement and college? Life insurance is an essential element in this family’s financial plan. Life insurance can also be critical in a variety of situations. Here are some examples from my experience in working with clients. Life insurance allows the non-working spouse time to make decisions about the future. While the death benefit might not last a lifetime it allows time to decide upon whether or not work, time for career training, what to do with the house, and other key decisions. Life insurance is an easy, inexpensive way to build an estate. Whether a younger family that has not had the time to accumulate assets or a mid-career person who has not been able to save, a life insurance policy can be an excellent way to fund expenses such as college, retirement for a spouse, or to simply provide a financial cushion for your survivors. Life insurance can provide continuity for a business in the event of the death of one of the owners. Life insurance is commonly used to fund a business buy-sell arrangement. Under this type of arrangement, the proceeds of the policy are generally used to buy out the interest of the deceased owner and to provide a payout to their family. This avoids the awkward situation of the remaining owners having to work with a surviving spouse who may have had no involvement in the business previously. In buying life insurance I always advise clients to look at it for the death benefit first. Some agents will tout various types of cash value policies as an investment tool or as a means to take money (the accumulated cash value) out of the policy tax-free in retirement. In general I’ve found that life insurance is an expensive route to go if one is using it as an investment vehicle. While these types of policies may have their uses, for most people term insurance is the way to go. Term insurance will provide the least expensive death benefit. There is no cash that accumulates in the policy and coverage will cease if you stop paying the premium. Term policies often come with a guaranteed level premium period. This means that the premium remains fixed for a period of 10; 20; or 30 years. For a younger family I would advise at least a 20 year level policy and perhaps a 30 year term. Think through how long you might want to have insurance in place. Also realize that your situation may change in the future and you may want a policy but be unable to obtain one due to changes in your health. I work with clients to review their policies every few years. Term rates change and we have been able to obtain policies with a larger death benefit in some cases without much increase in premium. Life insurance often gets a bad rap. It’s probably not so much that people perceive insurance as a bad product, but rather it’s the way it’s often sold. If you work with a competent financial professional they can assist you in determining how large a death benefit to look at and other factors to consider. Please feel free to contact me with your insurance and financial planning questions. Do You Have a Back-Up Financial Plan? If you enjoyed this article, please enter your email address to receive the latest updates about financial planning, investments, and retirement plans. “Life insurance often gets a bad rap. It’s probably not so much that people perceive insurance as a bad product, but rather it’s the way it’s often sold.” <– If that were true, wouldn't people also not buy cars or cable because of the way their sold? Although I guess people see cars and cable as more "necessary" than life insurance. My wife and I got life insurance when we had our daughters, suddenly it seemed like a real need! Thanks for your comment and for visiting the site. We did the same thing some 24+ years ago when my wife was pregnant with out oldest. My point about life insurance sales was that I’ve seen any number of folks who were sold policies that were not right for their needs. A prime example is a policy sold as an investment or even a supplemental retirement vehicle. Generally these people would have been better off buying a more basic (generally term) policy with a larger death benefit and/or taking the excess premium dollars and investing it or making sure they had adequate disability coverage or perhaps getting a proper will done. Isn’t the point of retirement to save money? Since we can’t predict the direction of investments of the stock market, mutual funds or bonds, wouldn’t we want our savings secured? Saving for retirement shouldn’t be left to chance. You know that little saying “past performance doesn’t guarantee future results”. That’s the little warning on the side of the cigarette pack. Remember: investment returns are given to you in “averages”, not “actuals”. Insurance companies pay out less than 2% of term policies. If you don’t own it, you don’t control it, if you don’t control it, you don’t have financial independence. The answer – Simple, Participating Whole Life Insurance – You do not want a policy that is dependent on market performance (i.e. variable, universal). Save first, invest the rest. Thanks for the comment Greg. Life insurance in it’s various forms is a financial planning tool. Each person’s situation is different and thus a different tool may be required. I am generally not a fan of polices such as variable, VUL, etc. I am also not a fan, in many cases, of whole life policies either. As I said they may be a good tool in some cases, often just a large payday for an agent. very true…it’s the way it is sold. Personally, I got a variable universal life policy in my early twenties. I was thinking about my future. It doubles as life insurance (I will need it eventually, right now no dependents) and supplement my retirement (i have additional retirement/investment accts). My cost actually dropped this year. I enjoy that I can invest in my subaccounts with real estate and small/mid cap funds. It’s works out well for me. As I would expect, you are thinking ahead Ornella. There are various schools of thought on buying life insurance with no dependents, one plus is the ability to buy at a low premium when you are young and healthy. As you well know circumstances can change and by the time someone has a more concrete need their health situation may have changed limiting their access to insurance either at all or at a decent price. I have had term insurance for many years. 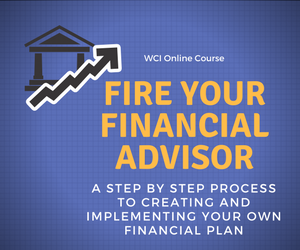 It is so affordable and I couldn’t agree more that it is a key component of wise financial planning. It offers peace of mind for an affordable cost! Thanks for your comment Barb. Concerned about stock market volatility? Want to see if you are on track for retirement? Are you invested properly to achieve your goals? Check out my financial review/second opinion services for individual investors. Click here to learn more and to see if this service is right for you. Enter your email address to receive the latest information and updates about financial planning, investments, and retirement plans. Are you a financial services firm, financial advisor or financial site in need of content? Check out my freelance financial writing services as well as my ghostwriting services for financial advisors. Is a $100,000 Per Year Retirement Doable? Should You Accept a Pension Buyout Offer? The Bull Market Turns 10 – Now What? Investing Seminars – Should You Attend? Roger Wohlner on Why Should I Care if My Financial Advisor is a Fiduciary? Precision Wealth Advisers on Why Should I Care if My Financial Advisor is a Fiduciary? Wilbur on Why Should I Care if My Financial Advisor is a Fiduciary?